Carnival Horizon is the latest and greatest ship in the Carnival fleet. Launched earlier in 2018, it recently made a move to Miami where it will sail six and eight-day trips across the Caribbean. We at Cruzely recently had the opportunity to take the ship on a special two-day cruise to get a feel for what passengers can expect and offer our review. What follows are our impressions of the Carnival Horizon and some of the unique and interesting features that guests can look forward to while on board. First things first, you should know some of the basic details of the ship. As we said, it was launched in 2018, sailing from New York City before making her way to her homeport in Miami. Horizon is the latest installment of Carnival’s “Vista” class of ships, where it joins its sister ship, Carnival Vista. The Horizon measures more than 1,050 feet and carries nearly 4,000 guests on board. A total of 15 decks means there is a lot of space for amenities and features, ranging from the classic casino all the way to the pools on the lido deck. On board the ship you’ll find many of the features you’ve come to expect from Carnival’s ships, but also a few things that are unique to the Vista-class ships. For example, you’ll find the popular Guy’s Burger Joint and RedFrog Pub, which are on nearly every Carnival liner. But you’ll also find some more unique features like Havana Cabanas, Family Harbor staterooms, the IMAX theater and more. In short, the Horizon looks to bring aboard Carnival’s most popular features plus add some amenities that could be the next big things across the fleet. Having sailed on ships across several cruise lines, we always felt that Carnival’s ship stood out with their design themes. For example, Carnival Valor has a strong patriotic theme, including statues of eagles and American flag decor. To us, it always seemed a bit dated — similar to themed hotels in Las Vegas. Carnival Horizon has definitely put an end to that conception. The ship is tasteful and modern from the decks to the cabins and interior spaces. In the middle of the ship as you board is the three-story atrium, featuring a large “plume” with video graphics playing constantly. While the center rotunda is somewhat small (especially compared to large promenades on Royal Caribbean ships), it’s definitely eye-catching. Overall, we definitely noticed that Carnival chose a modern theme for the ship’s decor. Main interior spaces are a mix of browns, purples, and silver and look like they would fit in at any modern hotel. However, it is not so modern that it feels uncomfortable. Many features from the familiar blue deck chairs to the brown decking on the lido deck to pops of color around the ship will make those who love Carnival feel right at home. One of the most interesting notes about the ship’s design is that elevators are all enclosed on the interior instead of having glass walls that allow you to look out into the ship as you ride. As well, Carnival Horizon has a new feature with the elevators to make the wait more efficient. Instead of hitting the elevator button and waiting to see which elevator will come, you push the button for the floor you want to go to. You are then assigned an elevator car. Once the elevator comes, the trip is relatively quick as cars move almost directly to the requested floor. We didn’t have to stop at every deck to pick up more passengers. The motif of the ship is much more modern than other Carnival ships. There are different moods to different areas of the ship, which help to provide a feeling that’s more like a city with neighborhoods than one homogeneous cruise ship. For example, Carnival Horizon features the Havana Bar, which has an older, Cuban vibe (complete with tables for dominoes) that you won’t find anywhere else on the ship. Restaurants such as Guy’s Pig & Anchor Bar-B-Que also have themes that are completely separate from any other part of the ship. Put simply, whether you like spaces that are fun and colorful or like your hangouts to be more secluded and chilled out, you’re going to be able to find a comfortable spot to enjoy. If you’re looking to sail on the Horizon, there is no shortage of room options. And we’re talking more than just the choice between an interior and balcony room like on a normal ship. The Carnival Horizon offers up more choices including Havana Cabanas and Family Harbor rooms (more on these below) that can help you find the perfect fit for your cruise. For our cruise, we chose to stay in an interior cabin on the 7th deck. (Read a full review of the cabin here.) As for our cabin, we found it to be basic but extremely small. While we didn’t measure the square footage, it felt smaller than interior cabins we’ve had on other ships. There is no couch, but only a small desk with a pull-out stool. Due to the size, we would not recommend fitting more than two adults in one of these rooms. Interior cabins are small. Having more than two people in a cabin would be cramped. While the room is small, it still had all the features you would expect in a typical cruise cabin. There was plenty of closet space, a mini-fridge, and an in-room safe. The interior design was basic and tasteful and simply looked like a normal cruise cabin. Of course, sailing in an interior cabin, we weren’t expecting much more than basic accommodations. One thing that did impress us was the bedding. Most cruise ships (including other Carnival ships) have thin mattresses that are nothing special. We found the Horizon’s beds to be much thicker and more comfortable than regular mattresses, along with a thick comforter that kept up nice and toasty in the cool cabin. There were also more electrical plugs than normally found in cruise cabins. Our room had two outlets in addition to two USB charging ports, meaning you have plenty of options for charging devices even if you don’t bring an outlet adapter. While most of the cabin options on the ship are similar to those found on other ships — including oceanview, balcony, and suites — there are some newer options that may be ideal for your cruise. If you are on the backend of the Horizon, you may notice that the style and theme of the ship suddenly changes. On one deck there is the Havana Bar — a Cuban-themed bar and lounge playing fun Latin music in the evenings. On other decks the decorations for the cabins changes, with different carpeting and doors and retro-style pictures of women that look straight out of a Cuban travel poster greeting guests. This area is known as the Havana Experience and staterooms. The Havana Rooms include a small handful of cabins at the rear of the ship in a variety of categories from interior rooms to suites. All have a different design from the rest of the ship, making it almost feel like you’re on another ship entirely. The stylish design of the Havana rooms is different from the rest of the ship. So what’s the point of these different cabins? Well, children under 12 are not allowed in the Havana rooms and there are only a few dozen of the cabins. Furthermore, those staying in these rooms have exclusive access to the Havana Pool until 7 p.m. daily. This pool area features cabanas, two whirlpools and a central pool — as well as lounging spots. Meanwhile, you don’t have to worry about this being overtaken by kids or a lot of people since it’s only for the use of Havana guests. The Havana pool is for the exclusive use of Havana room guests. Traveling with a family? Then Carnival has put the Family Harbor on the second deck of the Horizon with you in mind. What’s special about these rooms is that they revolve around the Family Harbor Lounge. The lounge sits near the rooms so families don’t have to go far — or even use an elevator — to reach it. In the lounge are sitting and play areas, board games, video games, computers, large screen TVs and a breakfast buffet that also has snacks during the day. The Family Harbor Lounge offers a place for families to hangout close to the room. Just like the Havana rooms, the Family Harbor features a completely different motif than the rest of the ship, so it acts as a “resort within a resort.” And with the lounge nearby, families don’t have to worry about packing up the entire crew just to get out of the cabin. There’s a lot of fun (and food) to be had just a short walk from the room. The arms race to add more and more things to do on the cruise ship has led to a number of amenities that were unimaginable a decade ago. Of course, that also means the bar is set high; passengers expect much more today than at any time in history. With that in mind, we personally felt that the Carnival Horizon could do more with the number of activities and things to do on the ship. First things first, there are a number of things for passengers to occupy their time that are now commonplace on cruises. As with pretty much every cruise ship built today, there is a spa, waterslides (geared toward kids), casino, two pools (and a third if you count the Havana pool), multiple whirlpools, and mini-golf. As well, there is outdoor exercise equipment, a full-length basketball court, and a number of games like ping-pong and foosball. The main pool on Carnival Horizon. That said, we think most of these items are almost the bare minimum on a modern cruise ship. There are a few things to do that stand out on the Horizon. There is an IMAX and Thrill Theater (where the seats move with the action on the screen). Both of these cost extra to use. There is also a ropes course that takes you well above the ship’s deck and seems like a blast. As well, Horizon has the SkyRide — essentially a hanging bicycle that can take you around the ship on a track. While we wanted to try this ride, it was undergoing repairs during our cruise. As an adult, we felt there simply weren’t a lot for us to do outside of the casino, shows, and drinking. Waterslides were Dr. Suess-themed and not really geared toward anyone older than 12 (however, the did seem like a blast for kids). There were two small pools available, but they seemed constantly filled to the brim with people. And with the SkyRide closed for repairs, that was one less thing to do onboard. As mentioned, there are two main pools on the ship, with a third one available if you are staying in a Havana room. The main pool sits in the middle of the ship, underneath a large video screen where movies are shown at night. If you are worried about finding a chair to lounge, don’t be. There is ample deck space covered with chairs. In fact, we were surprised there wasn’t another pool built in this area as it is so large. At the back of the ship is the Tides pool, featuring two whirlpools and a center pool. We found this to be our favorite spot to hang out on the ship. It naturally seemed to attract more adults and fewer kids. And while a number of activities (such as the sailaway party) took over the main pool, this area stayed much calmer. The Tides Pool at the back of deck 10. In addition to the pools, there are also the Dr. Suess WaterWorks. The main draw are two large waterslides, although there are a number of smaller water features for those who want to get wet. If you are traveling with kids, they will love this area. Just one thing to note is that your child must be potty trained (and out of diapers) to play. The Dr. Seuss waterslides are a fun spot for kids. Want to get away? Check out the Serenity adults-only area. Located at the front of the ship, it features dozens of sitting areas, including a number of half-domed private loungers large enough for two people. There are also whirlpools and a bar. During our trip we passed through here several times and found it largely empty. If you want a place to relax without a lot of people around, then this is a great option. We found the Serenity adults-only area largely empty during the cruise. Of course, Carnival Horizon has a bustling casino. Located in the middle of the ship, it features its own center bar (complete with a “plume” similar to the main rotunda). As for gaming, you’ll find hundreds of slot machines and about a dozen tables games. All the popular games are included, with craps, blackjack, roulette and more being offered. In addition, there are a number of tournaments and poker games offered for passengers. Slot machines and table games are available. One of the defining features of the Vista-class ships are the inclusion of an IMAX theater — the first (and only) ones at sea. Located on Deck 6, the IMAX shows first-run movies but it also costs extra to attend. During our trip the cost was $13 for adults and $10 for children under 12 and senior citizens (55+) to watch a feature film. In addition, there is also the Thrill Theater. This theater is much smaller than the IMAX but features 3-D, seats that move and even fans that will blow air to make it feel like you are in the movie. The films showed at this theater are cheaper — you get three short movies (totaling about 30 minutes or so) for $5.50 per person. Conveniently located near the Circle C teen hangout, The Warehouse is a full-sized arcade on the Horizon. Here you’ll find all the games you could want, with everything from air hockey to skill cranes to shoot-’em-up games and more. If you are traveling with teens, they’ll love playing here. On the top of the ship are two things to do that are perfect for those who want a little thrill. The first is a ropes course where you strap into a harness and make your way over different walkways from platform to platform. It’s great for kids, but honestly anyone would have fun doing this. It’s a physical challenge and you can also get an idea for how high above the sea you are when you stand atop the platforms. The other activity is the SkyRide. Here, you sit in a bicycle-like machine that you pedal to take around a suspended track. As mentioned above, this wasn’t working during our trip so we didn’t get the chance to ride. You have to be a minimum of 52″ tall to ride. In addition to the ropes course and SkyRide, the ship has a number of games to keep you entertained in this area of the ship. This includes bean-bag toss, mini-golf, ping-pong, foosball, and even “soccer pool” a game where you play pool but with small soccer balls. The ropes course sits above the SportsSquare with a number of games. Shopping has become a big business on a cruise, and the Carnival Horizon is no different. The shops circle the central atrium in the middle of the ship. Here you’ll find everything from Carnival souvenir shops (where you can get practically anything with the name of the ship on it) to fancy shops selling watches, jewelry, liquor, and cigarettes. There is even a Victoria’s Secret and a Cherry on Top candy store. Let’s just be honest, one of the biggest draws to cruising is the fact that you can eat and drink to your heart’s content. And while we feel the Carnival Horizon may be lacking in things to do on the ship, it does not lack for food or drink options. While there is no doubt that cruise lines (including Carnival) are trending toward having more specialty restaurants onboard that charge a fee for you to eat, the Horizon does offer a number of options that you can eat for free. Any guest on the Horizon is likely to have several meals in the Lido Marketplace, which is the ship’s buffet. The fare is basic, including a rotating selection of food for breakfast, lunch, and dinner, along with salad bar and dessert options. In our opinion the food is simply ok. We wouldn’t say it’s great, but what we would expect from a buffet. You won’t want to eat here every meal of your trip, but it’s perfectly adequate. We did feel like the buffet excelled when it came to desserts. One area we were disappointed was the layout of the Lido Marketplace. We felt the walkways were too narrow, which combined with a low ceiling and a lunchtime rush made the buffet feel extremely crowded. While empty here, the buffet quickly filled up and getting around could be a hassle. The Meridian is the main dining room on the ship that’s included in your cruise fare. We loved the feel and vibe of the restaurant and the service was tremendous. The motif is modern, but with shades of retro in the design of the carpets and chairs. We do wish that there were more wide-open ocean views, but if you are lucky enough to be seated near a window, you’ll have a fantastic view of the water. Guy’s Burger Joint — If you’ve sailed Carnival, then you know the popularity of this restaurant. Serving from noon until 6 p.m., it’s fantastic hamburgers and fries. BlueIguana Cantina — Open for breakfast and lunch, you can grab a taco, burrito, or taco salad. It doesn’t seem as popular as Guy’s, but is one of our favorites. Guy’s Pig & Anchor BBQ — Carnival actually brews beer and smokes meat on the Horizon. In the evening the restaurant is an extra cost, but it’s free for lunch. Cucina del Capitano — Want some pasta? Cucina del Capitano is an extra cost restaurant in the evening, but during lunchtime there is a free pasta bar. Pizzeria del Capitano — Perhaps our favorite place to eat on the ship, the 24-hour pizza restaurant at the back of the boat serves up simply delicious pies. They are free with your cruise, or you can get one delivered to your stateroom for $5. Like many other cruise lines, Carnival seems to be shifting toward offering more premium or “specialty” restaurants. For all of these you have to pay extra to dine there. If you’re sick of eating the buffet and burgers, these can be a welcome change of pace. During our cruise we didn’t have time to eat at any of these spots but their menus all looked delicious. Bonsai Teppanyaki — This restaurant is part dinner and part show. Teppanyaki cooking features a chef performing while they cook, showing off their skills at slicing and dicing. Bonsai Sushi — We’ll admit, we are a little wary of eating sushi a few days into a cruise. Still, if you have a craving for a sushi roll, you can get your fix. Fahrenheit 555 Steakhouse — Carnival’s classic steakhouse makes its appearance on Horizon, with a menu full of steak, lobster, fish, and lamb, plus all the sides you can imagine. Seafood Shack — Themed as a down-to-earth New England seafood spot, you can get your lobster rolls, fish and chips, and oysters. The Chef’s Table — The highest-end dining experience on the ship, you’ll get to sit in an intimate setting while your meals if prepared before your eyes. It even includes a behind-the scenes galley tour. JiJi Asian Kitchen — Want Asian food but don’t want the show of teppanyaki and don’t want sushi? There’s also JiJi’s, featuring classic Asian dishes like Kung Pao chicken, Nanjing duck, and fried wontons. Cucina del Capitano — Italian is one of the most comforting style of foods and a great way to leave a restaurant full. Carnival offers Cucina del Capitano, which has all the classics you’d expect. Guy’s Pig & Anchor BBQ — While it’s free at lunch, if you want to dine in the evening you’ll have to pay extra to get your BBQ fix. One thing to note is that many of these restaurants sit on the lanai (the outdoor walkway around the ship) on deck 5, which means you can sit outside and dine al fresco. The unique design of the Havana Bar. Atrium Bar — Located in the middle of the ship’s center atrium, this 360-degree bar is a focal point of the ship and always buzzing. Casino Bar — If you are playing in the casino, the Casino Bar is always a few steps away. Like the Atrium Bar, it’s a circle with one of the “plumes” reaching toward the ceiling. Sky Sports Bar — Carnival’s channel lineup in the cabin is pretty sparse on TV, so if you want to watch a game, you’re going to either need to go to the Sky Sports Bar or the casino to see it. Of course, there is a bar so you can have a drink while you watch. Library Bar — During our trip this bar seemed to only host special events, but looked amazing. The style is a high-end quiet lounge with a retro classy 1960’s feel. Piano Bar 88 — Carnival Horizon includes a classic piano bar where you can listen to your favorite songs play while you imbibe. Guy’s Pig & Anchor Brewhouse — They aren’t kidding about the brewhouse. Carnival actually brews beer on board. You can also get anything else you want to drink. Alchemy Bar — As seen on other ships, the Alchemy Bar features “elixirs” to cure what ails you. There are a number of unique drinks you won’t get at other bars. Plaza Bar — If you just want quiet and not many people around, check out the Plaza Bar. Located at the back of deck 5, we found only a few people there at any given time. Havana Bar — One of the most unique cruise ship bars we’ve seen, Havana Bar is open to everyone, even if the Havana Pool right outside is not. It’s a dark bar with a Latin feel and a great place to take a date. Carnival Multiplex — If you want to watch the IMAX with a drink, you can. The ticket desk serves beers to patrons (but no signs of cocktails on our trip). BlueIguana Tequila Bar — Located poolside, this bar is the closest spot to grab a margarita or beer while you soak up the sun. RedFrog Rum Bar — Opposite of the BlueIguana, the RedFrog serves a number of tropical drinks with umbrellas. Plus you can get any number of beers served on the ship. Tides Bar — Of course, every pool need a bar. The Tides Bar serves the Tides Pool on the back of deck 10. Serenity Bar — If you are in the adults-only Serenity area, then you have your own dedicated bar to serve you. If the other pool bars are busy, this is a good place to go to avoid lines. Pour Your Own Beer Station — In the Lido Marketplace (the ship’s buffet) are four “Pour Your Own Beer” stations. They are completely automated — swipe your card and you pour your draft of either Bud Light or Thirsty Frog, being charged by the ounce. The best thing is that it’s about $0.29 per ounce or around $4 for a beer. That’s the cheapest drink on the ship. The Pour Your Own Beer Station offered the cheapest beer on the ship. Overall, the Horizon is a great addition to the Carnival fleet. We loved the feel of the ship — it’s classy and modern, yet comfortable. We were happy to see the modern decor and furnishings compared to other Carnival ships we have sailed. Frankly, the ship is beautiful. That said, we do have a couple of wishes. First, we would love to see more things for older kids and adults to do on the ship. With the SkyRide broken and the waterslides geared toward kids, there weren’t many activities to do to have fun in the sun except sit by the pool. We would also like to see the trend toward specialty restaurants and exclusive areas (e.g. the Havana Pool) fade away. 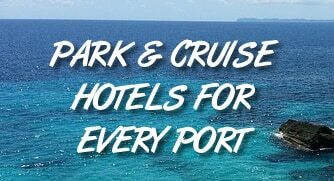 One of the big draws of cruising is that everything is included and you can go anywhere on the ship whether you have the lowest interior cabin or the grandest suite. Having to pay extra or being denied access is a bummer in our book. These are relatively minor quibbles. If you have an upcoming cruise on Carnival Horizon or are thinking about booking, then you should be excited. It may not be perfect, but it’s a fantastic ship with a lot to like. Want more tips on sailing on the ship See our 15 must-have Carnival Horizon tips.